A rich variety of homemade signs conveyed the sincerity of many of these seasoned activists. Nevertheless on a late Monday afternoon, those attending the Address in advance seemed to file in with nary a pause, while passersby stared or seemed puzzled. This is Mayor Muriel Bowser’s fourth year in office since she was elected. Although she appears to be a moderate Democrat many on the left are questioning the pace of gentrification and redevelopment in urban neighborhoods. The role of soft money has raised even more questions: how have developers and bundlers bought their way into the City council to gain favorable access or scuttle access for other bidders? Why are hospitals, schools, shopping malls, theaters, and churches slated for redevelopment left and right? While revitalization is praised as an economic miracle, it is evident that there are soft spots where vacancy or turnover remains high. These include Columbia Heights (DC USA) and Georgetown (Wisconsin Avenue), H Street, and Georgia Avenue, where stores struggle for rentier crumbs. It includes the University of the District of Columbia, such as 4250 Connecticut Avenue, where a collection of once thriving restaurants have long vacated. 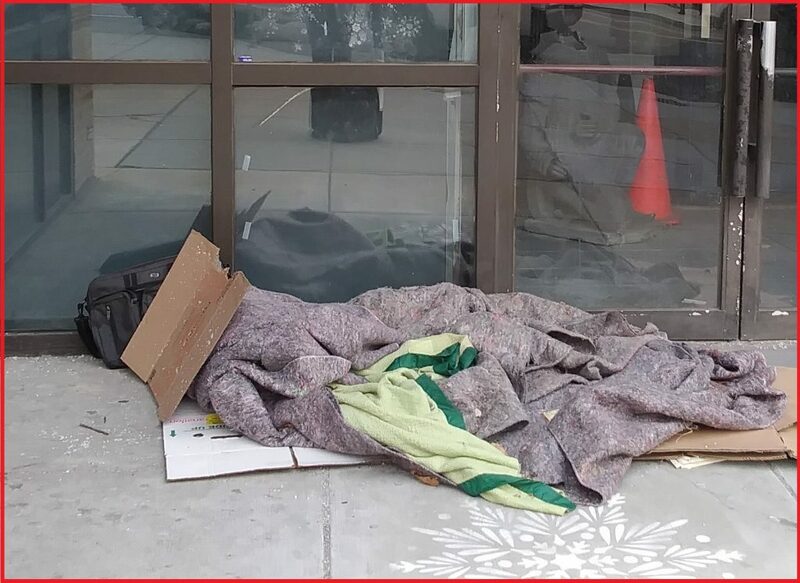 As is generally the case, whether the windows are covered or decorated, homeless people still seek a place to lay down at night. 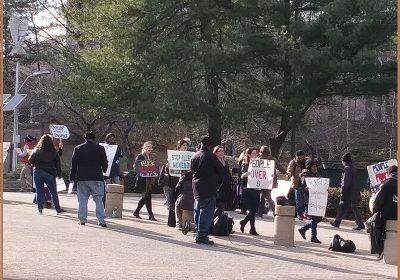 Yet as passersby drove and strode by to the UDC Theater, no one, not a single organizer, social worker, protester, professor, attorney, or pastor stopped to ask the nonblack homeless persons standing under the eaves near the corner of Connecticut Avenue and Windom Place if they needed any help. The march itself had the sort of rehearsed staged quality of a controlled oppositional front. The crux of the problem is not merely whether or not the City is helping the poor, but how are they being helped? Are they stuffed inside tiny boxes called rooms and told to shut up? Are they helped by social workers who dish food out but who otherwise avoid them like the plague? Are they helped by arresting them and transporting them some place far away like a black site? Whose the sweetest talking pimp on the street? Midway through the demonstrators began chanting Black Lives Matter, and shouting that this is a Black and Brown issue for DC; however, based on the type of poor people this reporter encountered, there are quite a number of others out there including elderly poor and disabled poor, poor students (a disproportionate number of whom attend U.D.C. ), working poor, and the various brackets of poor based on 30%, 50%, 60%, 80%, 100% and 120% of Median Family Income. One student, who is white, told AGN he bought 50 pounds of angel hair pasta which he eats a bit of every single day, supplemented by a chicken sandwich from Burger King once in a while. Another scholarly woman asked what “San Francisco-tization of DC” meant, as if she needed a tome from the Law Library to understand the neologism. An elderly man couldn’t recall if he was at the meeting on the Comprehensive Plan, since he said he has become quite forgetful. Elderly foreign-language speaking residents in Chinatown reassure this reporter that they cannot afford to move out of their senior rent-controlled building. 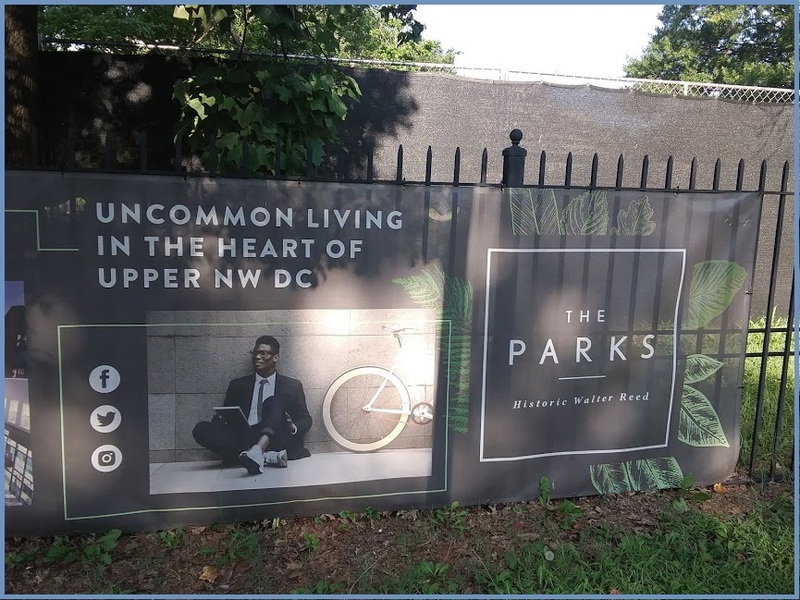 On the other hand there are a quite a few well-to-do black or brown complexioned residents moving into luxury-tower apartment buildings whether in Southwest, at NoMa, or Fort Lincoln. The globalist order types, although being darker or nonwhite, do not neatly categorize as the stereotype of the disadvantaged resident and thus tend to be ignored by NGOs who rely on color-coded political posturing for capitalization, not the realities of 21st-century class-riven technocracy. According to Empower DC’s press release, $350 million is urgently needed for public housing repairs. Also needed are vacant housing counts and a way of categorizing them in terms of availability for extremely-low, nominally low-, or as affordable-income based housing. 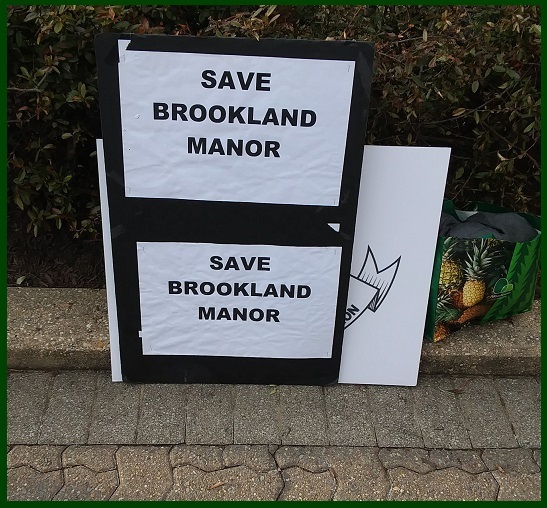 The estimated numbers of vacant housing are between the 4000 to 6000 count range, but it is unknown if they include “land banks” which can be anything from unleased housing units in luxury buildings to buildings declared under eminent domain. According to PPEHRC, homeless people deserve to occupy vacant offices and houses; they shouldn’t have to wait for sweetheart deals and land swaps to take place first. Empower DC’s list of demands also include a long-term, local investment plan to secure all public housing, and $200 million needed to create a Housing Trust Fund targeted to those living at 30% of Area Media Income. This would indeed be a blessing for the super-low income, who are still being priced out of affordability in luxury buildings where residents can pay for a pet but are not allowed to house an extra person. (If ordinary people are forced to obey all the rules, then why are others allowed to bend them for themselves or so their favorites are rewarded). The 2019 Mayoral address inside the UDC Theater will most likely be a lavish style convocation and sharing of a litany of accomplishments. One can find the 2017 State of DC address here, and the 2018 State of DC address here. The professional crowd at UDC, a historic black college and university, founded on an urban land grant, will be proud that their students can share a moment in history with such a young attractive talented African-American female mayor. If only student participation in the march outside were also recognized as an invaluable part of authentic historic community-based service learning, rather than merely a side-event not worth the glossy annals of the UDC Legacy magazine.